Fears that PR firms would suffer catastrophic economic effects from Britain's decision to leave the EU are largely unfounded so far, an analysis by PRWeek of the share price of quoted marcoms groups listed in London and Paris shows. The share prices of some of the biggest holding companies in the UK and Europe, which own many of Britain’s leading PR agencies, have seen mixed fortunes in the fortnight since the UK voted to leave the EU. PRWeek has tracked these prices over the past fortnight – on the day of the EU referendum, the day after, the Monday following the vote, and first thing this morning (Friday). While share prices fell across the board in the days after the EU referendum on Thursday 23rd June, they have not plunged as dramatically as many had feared. In the case of some firms, such as WPP, Porta Communications and the Next Fifteen Communications Group, their share prices have recovered and are now higher than they were on the day of the EU referendum. WPP’s shares have climbed by more than three per cent, Next Fifteen’s have risen more than eight per cent, and shares in Porta have gone up by seven per cent. Announcing the acquisition of a French marketing services company yesterday, WPP said: "As a result of the UK’s referendum decision to leave the European Union, WPP will place an even greater emphasis on growth in Western Continental Europe." A trading statement issued by Next Fifteen just days after the vote for Brexit referred to "recent volatility" in the value of sterling following the result, and said this would actually benefit the group: "With approximately 75 per cent of the group’s revenues generated in other currencies (and in particular 60 per cent derived from the US), the group’s reported results stand to benefit on translation from a weaker British pound while the impact on the group of any slowdown in economic activity in the UK and EU should be relatively modest." And a trading statement released by Porta last week stated: "The run-up to the UK referendum and the subsequent outcome created and continues to cause uncertainty." The company remains cautiously optimistic. "Our geographically diversified businesses covering not only the UK but the Middle East, Far East and Australia are well placed in this context. Moreover the non-UK businesses will on consolidation be beneficiaries from the sharp drop in sterling," it said. However, not all have fared so well. Huntsworth’s share price is around 13 per cent down on what it was two weeks ago, and shares in Creston are down more than ten per cent on what they were on 23 June. Shares in Havas and Publicis, both of which are listed on the Paris Stock Exchange, remain lower than they were on the day of the EU referendum, having fallen by around five and seven per cent respectively. The troubling signs of the damage done to the bottom line of some of the biggest names in marcoms are reflective of a wider trend. 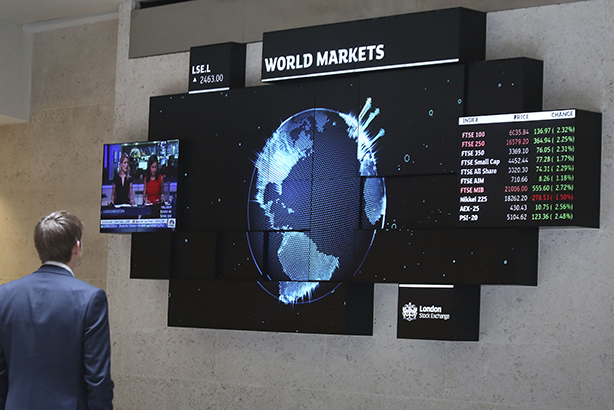 Stock markets in the UK and Europe fell earlier this week, with the pound hitting a 31-year low – dropping to $1.2798 – on Wednesday as concerns over Brexit continue. "Pessimistic predictions for sterling are coming true," Andrew Edwards, chief executive of broker ETX Capital, told the BBC. "The pound is the chief proxy for the post-Brexit mood in the markets," he added.